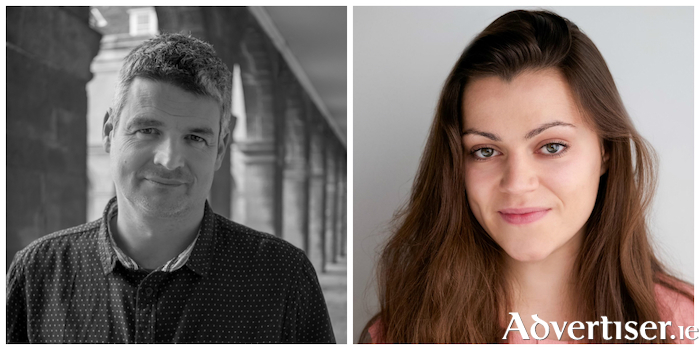 Eugene O'Brien and Eva O'Connor will be talking part in a writers talk next month. Write Now is a Mayo Art Service and Film Mayo event for Mayo writers that will take place on Saturday, December 9 in Breaffy House, Castlebar. In the morning there will be presentations by three professional writers; Elizabeth Reapy (fiction writer ), Eugene O’Brien (screenwriter ) and Eva O’Connor (playwright ). This is an opportunity for established or budding Mayo writers to come along and enjoy presentations focusing on three different writing forms. In the afternoon there is an opportunity to avail of one on one mentoring. There are three slots available with each of the three writers. Submissions are required for the one on one sessions which are by selection and required information needs to be supplied by November 30. Write Now is a free event but booking is required to attend the presentations. Please contact Mayo Arts Service for further information by emailing:[email protected] or by calling (094 ) 9047471 or 094 9047558. Elizabeth Reapy is from Claremorris. She has a BA in English Literature and History from NUI Galway, a Postgraduate Diploma in Education from UCC and an MA in Creative Writing from Queen’s University, Belfast. Elizabeth’s presentation will focus on creativity and productivity, developing ideas, common writing fears and how to overcome them, tips on finding time to write, examples from writers' lives. Eugene O’ Brien wrote the play Eden which he adapted for the screen and the film, directed by Declan Recks, played many festivals around the world including Edinburgh and New York’s Tribeca Festival where it won best actress for Eileen Walsh. Eugene also wrote Pure Mule, a six part series for RTE, winner of five IFTA awards. During his presentation Eugene will outline what he has found useful in helping craft a good screenplay through his own experience in working in film and television. Eugene will help advise and answer any questions participants may have. Eva O'Connor is a writer and performer from Ogonnelloe, in Clare. Her plays include My Best Friend Drowned in a Swimming Pool, Kiss me and You Will See How Important I Am, (Best Emerging Artist Award 2012 at the Edinburgh Fringe ), My Name is Saoirse, (Argus Angel Award at the Brighton Fringe 2015, and Best Theatre Award 2017 at the Adelaide Fringe ). Eva will discuss her journey as a playwright to date and give an insight to the ways to go about getting your work from the page to the stage. Page generated in 0.1432 seconds.